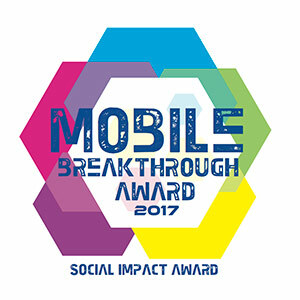 Applied Information today announced that its TravelSafely™ Smartphone app has been selected as winner of the Social Impact Award from Mobile Breakthrough, an independent organization that recognizes the top companies, technologies and products in the global wireless and mobile market today. The TravelSafely Smartphone app, being deployed in select cities in 2017 and 2018, enables motorists to communicate with traffic signals, emergency vehicles, school zones, cyclists and pedestrians to make travel safer and improve traffic. By running in the background and using audible alerts, TravelSafely prevents distracted driving and provides an additional level of awareness and safety. A popular feature includes a countdown to green at traffic signals and an audible alert that the light is about to change – Get Ready for Green.